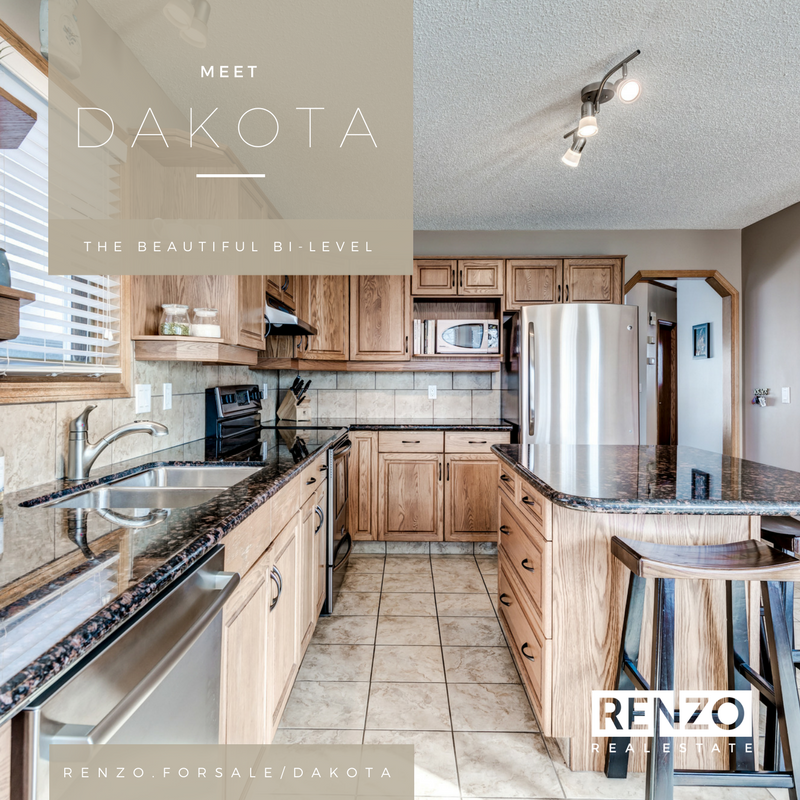 Meet Dakota - The beautiful bi-level nestled in the heart of Sundance. This meticulously maintained home greets you with charming hardwood and VAULTED CEILINGS. The bright kitchen has SS appliances, dark granite, an inviting BREAKFAST NOOK, and plenty of cupboard space. The living room is bright and spacious and for the entertainers there is a dining room space. The large MAIN FLOOR MASTER retreat comes with a walk-in closet and 4-piece ENSUITE with JETTED TUB. The main floor also has a large 2nd bedroom and full bath. The basement is bright and brilliantly laid out. The large rec room has a new FIREPLACE with STONE SURROUND, plenty of built-ins, and a WET BAR. There are 2 more bedrooms, a full bath, and a large storage room/laundry room. Just in time for Spring, there is a spacious NEW DECK with STORAGE below and the MATURE TREES provide a private and lush environment. This home has it all and is located near amazing schools, FISH CREEK PARK, and you can enjoy LAKE ACCESS.